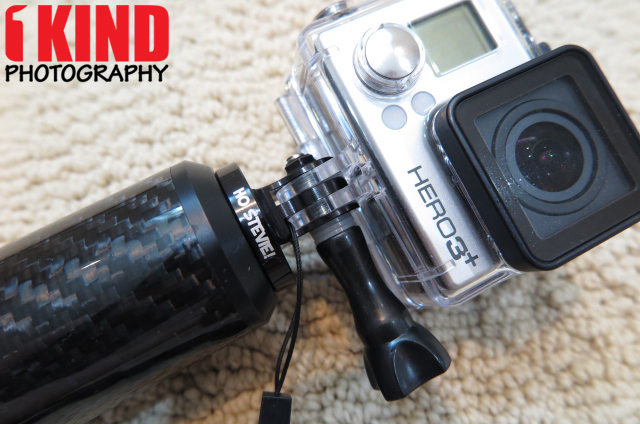 Overview : Our Floating GoPro Hand Grip provides a simple way to capture stable footage, no matter what kind of adventure you are on. Whether you are snorkeling alongside honus in Hawaii, or dancing across the Coachella stages, this GoPro grip shoots steady controlled footage. It's not an extendable selfie stick, so they won't confiscate it at Disney, your favorite music festival, or anywhere else on the ever-expanding list of places that have banned selfie sticks. 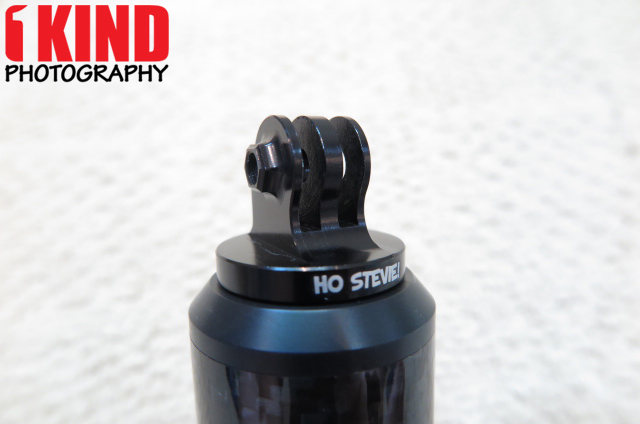 Quality/Usability : After reviewing the Ho Stevie! 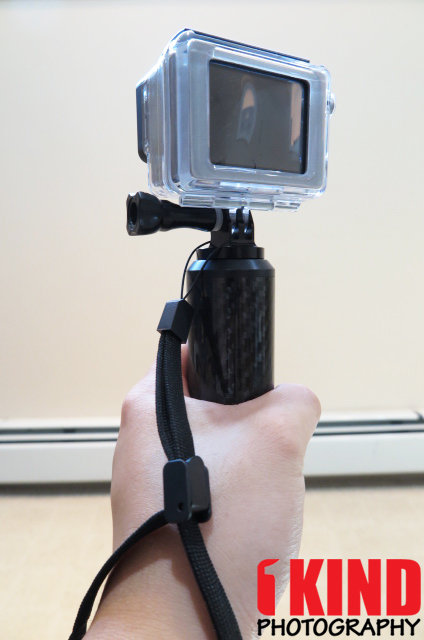 GoPro Mouth Mount, we were contacted to see if we were interested in reviewing their new GoPro Hand Grip. The packaging was in a basic generic packaging. Included was the hand grip, wrist strap, screw and Ho Stevie! sticker. The hand grip pole measures about 6.5 inches from top to bottom, which makes it small enough to stash in a pocket, purse, or small bag. The carbon fiber and aluminum will never rust or corrode, providing a lifetime of functionality (and fun). 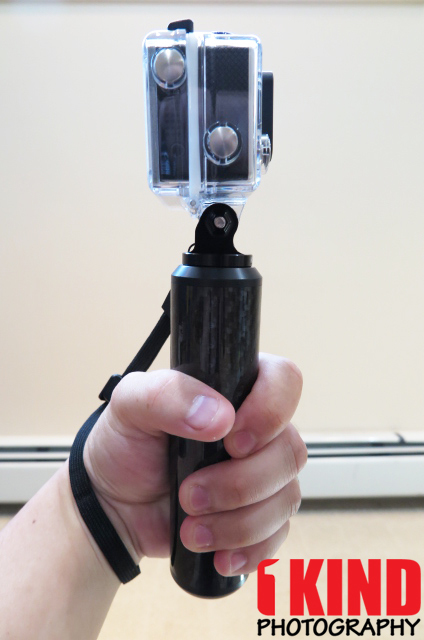 This won't get confiscated from those that are banning selfie sticks since it doesn't extend. The aluminum mount comes in five colors: Black, Red, Blue, Gray and Gold. 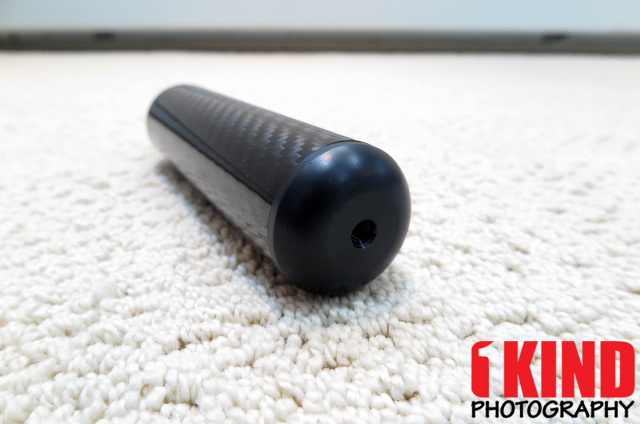 It can be unscrewed from the grip and used with any 1/4"-20 threaded tripod or other accessory (this is the standard threading for most tripods). 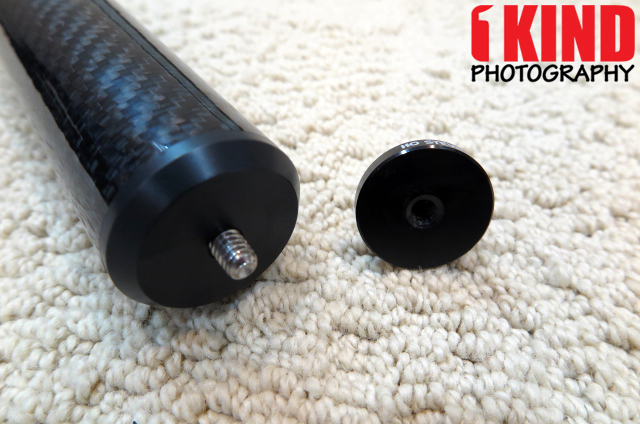 Or you can attach the entire grip to a tripod, with the threaded insert on the bottom of the pole. 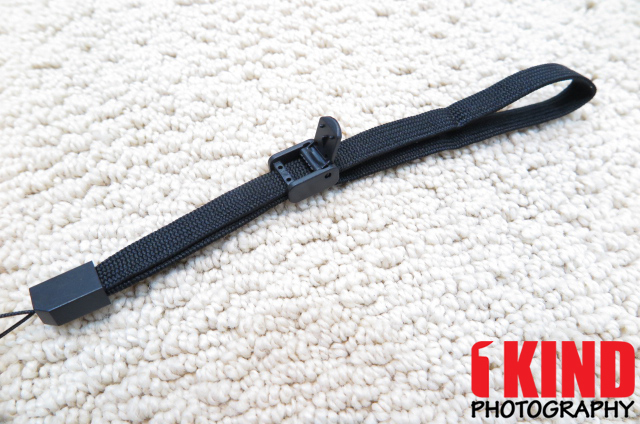 Of course, this also means that you can use any 1/4"-20 threaded camera with the grip. Just unscrew the aluminum GoPro mount, and attach your camera. 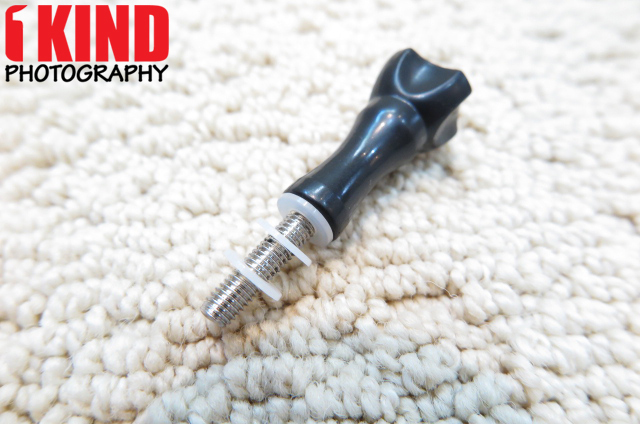 The screw is your standard GoPro mounting screw but includes three washers. These can easily get lost. Maybe one is enough and they included extras incase it gets lost? But no instructions were included as to how to use them. Use the adjustable wrist strap to prevent your GoPro from floating away while white-water rafting, or from falling into the abyss while skydiving. It has a nice little locking mechanism to keep it in place instead of the ones you might have seen where it just slides. 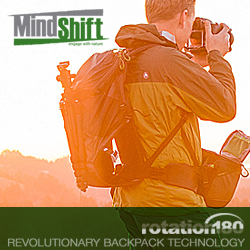 Its sleek and lightweight design make it perfect for any GoPro user, from beginner to advanced. Ho Stevie! 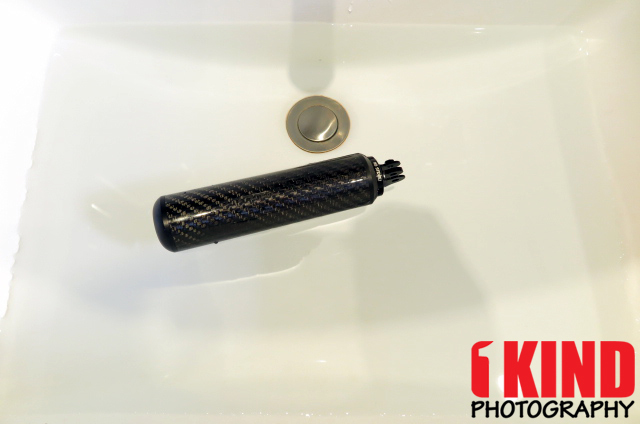 grips float, which makes them perfect for any activity in the water. 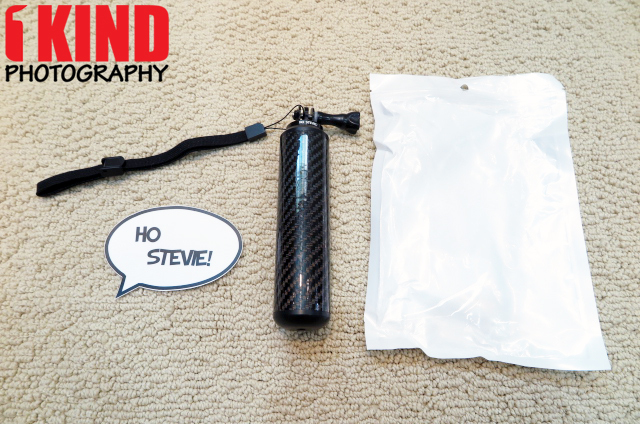 You don't need to attach a backdoor floaty to your GoPro like the Ho Stevie! 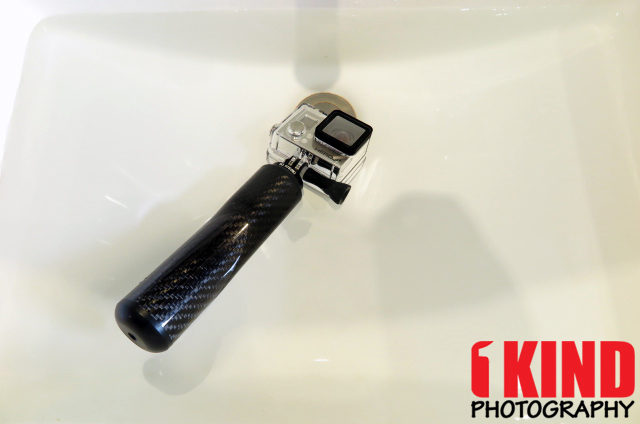 Mouth Mount (those permanently stick to your GoPro case), this handle keeps your GoPro afloat all by itself. It won't keep the GoPro floating due to the weight of the GoPro and the fact that the unit/case can't float, it will sink as you can see with the LCD Bacpac. The hand grip itself will float on the surface. The grip is long enough for any sized hands. The thickness is also perfectly sized. Personally, I would have liked to see finger grooves or something to make the gripping slightly more comfortable. This would also let the user know which way is the front in the event that someone can't see underwater or in the dark. Conclusion : Overall, the Ho Stevie! 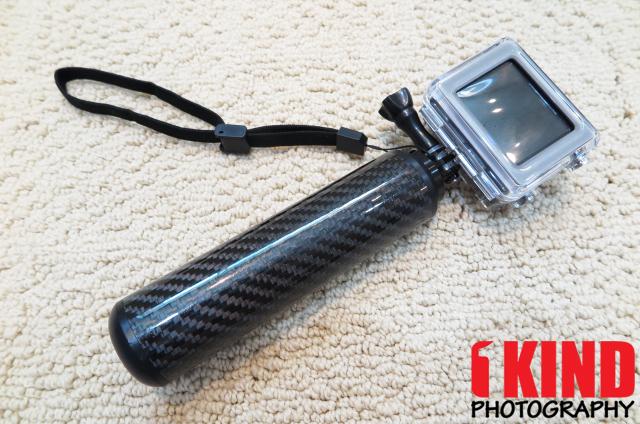 Floating GoPro Hand Grip definitely stays afloat even with the GoPro LCD Bacpac. 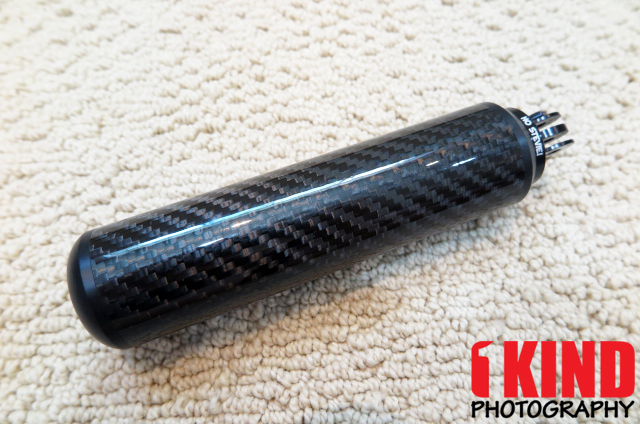 It's lightweight thanks to the carbon fiber material. 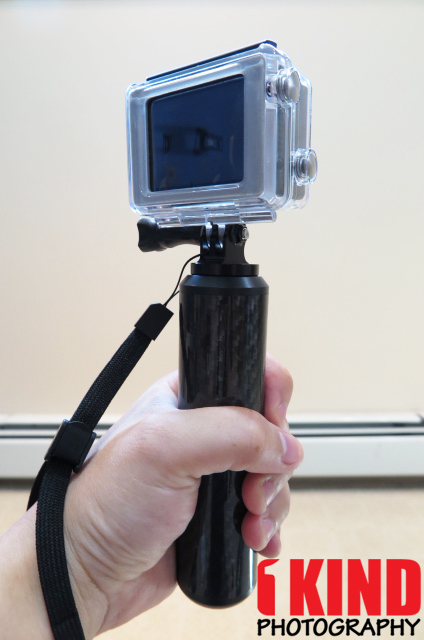 I like that you're able to remove the aluminum mount and put it on a tripod or put a camera on the hand grip. I like all my stuff to be black as it doesn't scream out for attention but for something like this, I would like to see a reflector or some color (even if its just the bottom half) to it so that if dropped in the ocean or pool, it is easy to locate.